Hello, ladies...and gentlemen. 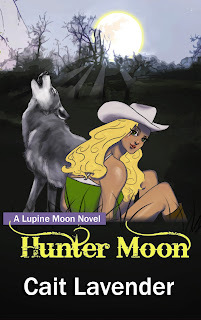 I will be taking over this blog post because Cait’s attempt to give you insights into the lupine psyche were bumbling and clumsy. I’ll forgive her, only because she’s lovely and holds my fate in her hands. The first and most important rule when dating a werewolf is this—Run. We lupine can do a lot of things, but denying our baser instincts is not one of them, and there is nothing more primal than the instinct to stalk, pursue and capture our prey. And let me assure you, all of you lovely, mouthwatering ladies are our prey. When you run from us, we will chase you and I promise you’ll enjoy being caught. Secondly, but just as important, is to resist. My fellow lupines might castrate me for revealing this little tidbit, but it must be said. We are alpha males. We use our intimidating presence to get our way, and we do. Often. Deep down, however, we love a challenge. Make us drag you kicking and screaming. The anticipation heightens our enjoyment and in turn will heighten yours. Finally, in case you weren’t aware of a certain possessive aspect of lupine nature, once you are caught, you’re caught for good. We don’t share. You are ours. There is no prenup to sign, there are no wolf divorce courts. On the up side, they’re unnecessary. Once a lupine has met and caught his true mate, he’ll go to the ends of the earth to ensure her happiness. So congratulations, all of you lucky ladies. You’re about to get on the ride of your life. Bawling cattle tore Shelby Flint from her bed. With lawyer fees to pay in her struggle to keep her ranch from the clutches of her greedy cousins, she couldn’t afford the loss of even one calf. When she sees a large wolf circling her cows, she aims and fires. 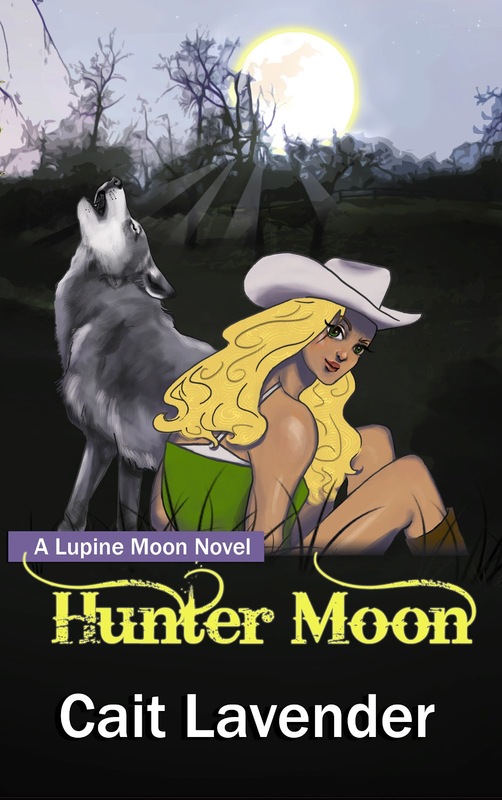 While the wolf escapes, Shelby can’t seem to get away from her troubles when a marijuana grower sets up shop on her land, sabotaging her property and eventually coming after her. Adding to that, a handsome game warden is poking his nose into her business and working his way underneath her skin. Shelby will have to fight harder than she ever fought before to keep from losing her heart and everything she ever loved. Shelby Flint is a self-sufficient cowgirl and cattle rancher, but when a wolf goes after her calves, a man is murdered on her land and someone is sabotaging her property she can’t do it by herself any longer. In walks a handsome game warden, poking his nose in her business and working her way under her skin. Shelby will have to fight harder than she ever has before to keep from losing her heart and everything she ever loved. 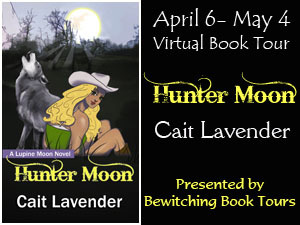 Cait Lavender is a twenty five year old wife and stay at home mother of one in Central California. 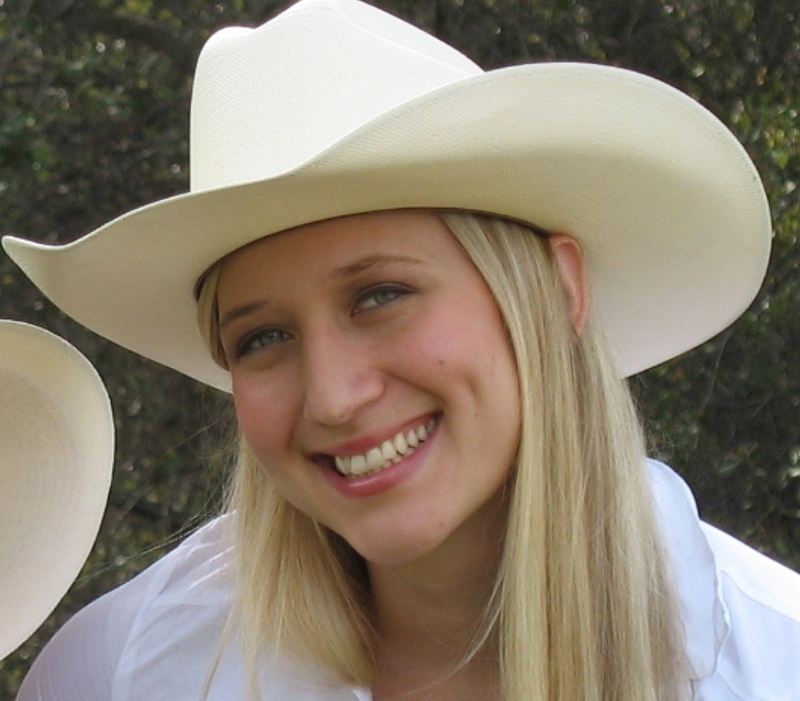 Living on a cattle ranch and raising her daughter doesn’t afford her much leisure time, but when she has a spare minute or two she loves riding horses, baking and reading everything she can get her hands on. She grew up loving the written word and creative writing and finally decided to work on her dream of becoming a published author. Thank you for hosting! Good luck to all of you entering! Great post. I enjoyed reading about the alpha male. book looks great. This would be my first book of this genre. I think I might like it! Sounds like a great book. This is a new author for me and would love to win and read this book. I like the post, and the book looks good! Cait - Ha! I can completely picture James say exactly that! Thanks for introducing this new author to me!